Tanzania’s Deputy Minister for Energy and Minerals Dr. Medard Kalemani said during a recent parliamentary session that helium exploration in Lake Rukwa is expected to start next year. 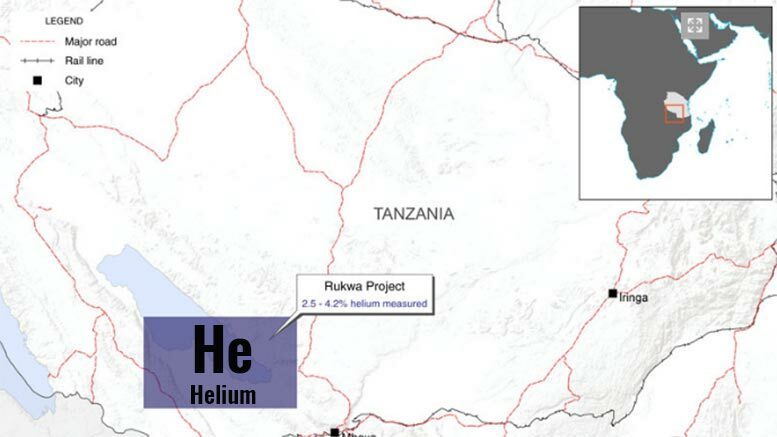 Around 54 billion cubic feet (Bcf) of unrisked prospective recoverable helium resource have been recently estimated in the Lake Rukwa area in Southwestern Tanzania. Dr. Kalemani clarified that actual production would start after the completion of all the necessary studies and environmental impact assessment. “The government needs to ascertain the amount of gas available before issuing any production licenses,” he added. Currently, Helium One Limited hold an exploration license for helium gas in Rukwa Region. In an exclusive interview with TanzaniaInvest, Thomas Abraham-James CEO of Helium One explained that the company would be finishing exploration at Rukwa by the end of 2017. In March 2017, Solo Oil plc (AIM: SOLO), an oil and gas investment company with assets in Tanzania (natural gas), West Africa, the UK, and Canada, announced that it has agreed to acquire a 10% interest in Helium One Limited for a total consideration of GBP2.55 milliob. Solo has also been granted a 90-day call option to increase its investment in Helium One by a further 10%, for an additional investment of GBP 4 million. Global demand for helium is growing at a rate that is outstripping supply, which presents a significant pricing opportunity for future producers. Tanzania has been identified as a key country for helium exploration based on the evidence of surface gas seeps in the geological rift valleys adjacent to the Tanzanian Craton, as well as its strategic location for global exports through its deep-water port at Dar es Salaam.